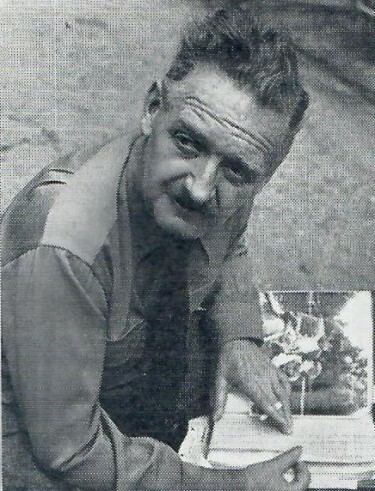 Perce Pearce had worked for Walt Disney for 15 years and had co-directed ‘Snow White’ and ‘Bambi’ and produced ‘Song of the South’ and ‘So Dear To My Heart’ for him. ABOVE – Perce Pearce seems to be looking at notes containing shots of the ‘landing on the island’ sequence in the film with Robert Newton and Bobby Driscoll in the picture he has open. It was indeed no surprise for the very first fully live-action film he made ‘Treasure Island’ – filmed here in England at Denham, that Walt Disney entrusted Perce Pearce with the job of supervising the production of this important film. My own view is that ‘Treasure Island’ and the next film done here at Denham ‘The Story of Robin Hood and His Merrie Men’ were defining moments for the Walt Disney organisation and their release and success, gave Disney the springboard to a higher level both artistically and financially.